So basically it’s a finishing powder but can be worn on it’s own or over concealer/foundation for a flawless finish. The two versions I have been playing with are the ‘tinted’ and ‘shimmer’ versions. The tinted version is a warm, tanned shade but when applied doesn’t look as dark as it does in the pot. 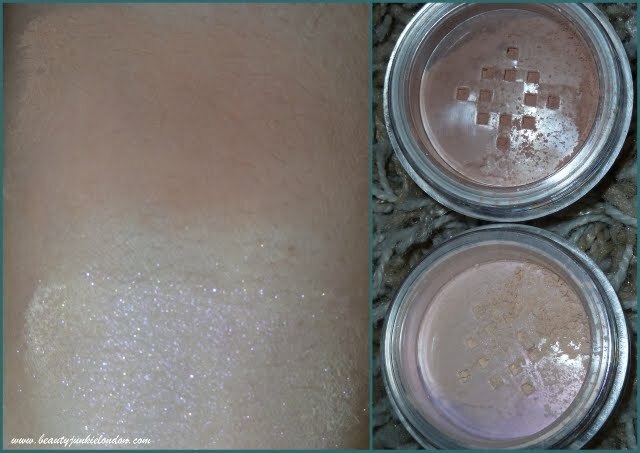 The shimmer is a pearly finished powder that has a bit of glitter running through it. e.l.f. Mineral Booster: Top- Bottom, Tinted – Shimmer. Personally I wouldn’t use the shimmer version all over the face as would look a tad like a glitter ball. But it can be used as a highlighter on the cheeks for a bit of glow. with shimmer Mineral Booster on the cheek bones. I really like the tinted Mineral Booster all over but I don’t really see how it’s any different to a mineral foundation. Perhaps it is slightly finer, but I found it just as easy to apply and build up for some coverage. It does deliver a very photo-friendly finish so would be perfect to use as a finishing powder over your normal foundation for a night out. The tinted booster is great as a Sunday make-up product, when I always go a bit more natural/basic than the rest of the week. e.l.f. Mineral Booster is available in three shades (sheer, tinted and shimmer) all available in small size for £3.50. The sheer shade is also available in large for £5. 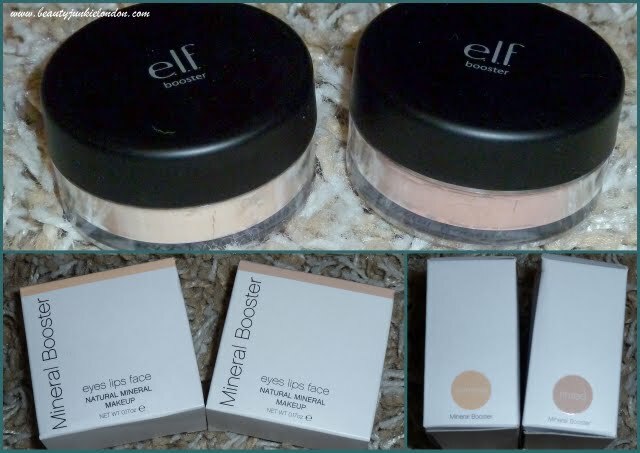 I’ve had these at home for months but never quite got what the point was/difference with a foundation. Glad I’m not the only one that got confused!